Dr. 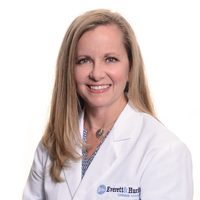 Dawn Herzig specializes in the medical and surgical treatment of both pediatric eye diseases and eye muscle imbalances in adults. She concentrates on surgery to correct strabismus (misaligned eyes), double vision, tear duct obstruction and pediatric cataracts. Dr. Herzig finds satisfaction in providing many adult patients who suffer from crossed or misaligned eyes with the opportunity to experience the world through straight eyes. Many adults who have been told in the past that nothing could be done to improve misaligned eyes are now enjoying the benefits of today's surgical advances. Dr. Herzig is a lifetime resident of Western Pennsylvania. She completed medical school at Lake Erie College of Osteopathic Medicine. She continued her medical training with an internship at West Penn Hospital and an ophthalmology residency at the former St. Francis Medical Center. She completed a fellowship in pediatric ophthalmology and adult strabismus under the direction of Darren L. Hoover, M.D. with an over site relationship at the University of Pittsburgh Department of Ophthalmology. She continues to enjoy teaching medical students and residents about ophthalmology. Oversite Relationship University of Pittsburgh Department of Ophthalmology - Under the Direction of Darren Hoover, M.D.